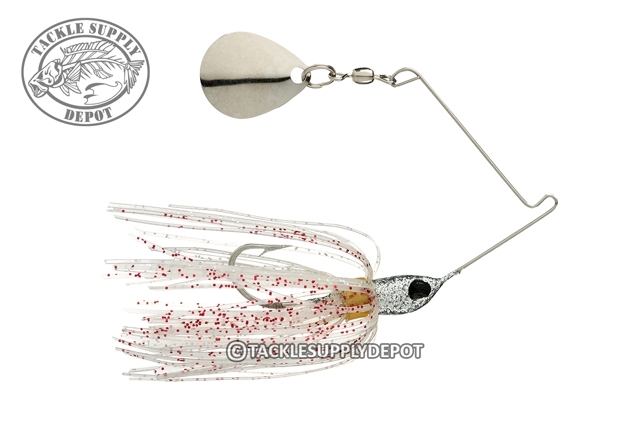 Little Brother to the popular Micro King, the Micro King is a terrific little spinnerbait for ultra-light rods. It runs great and will get tons of strikes from small bass, panfish and anything you put it in front of! It has a small light wire, Colorado blade, Diamond Dust Silicone Skirt and Paint job, and a good hook. The Micro King is one of the most productive spinnerbaits in Strike King's extensive line up!